Symbols and magic belong to the very essence of jewelry since ancient times. Comets connecting the sky to the earth inspired my latest work for Sieraad. see it in the night sky of Greece in late September! small bits of the cosmos to wear! atelier in Best, hierdoor is ieder sieraad uniek en van hoge kwaliteit. piece of quality and craftsmanship. 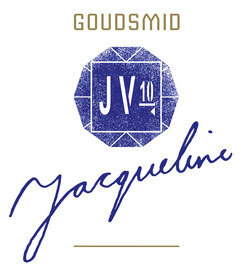 Jacqueline Vugs-Voets: “Comets” are made for goddesses! aan zijn mooie vrouw was het sterrenbeeld hij haar bekroond met. Het draagt nog steeds haar naam: Ariadne constellatie; en je kunt het zien in de nachtelijke hemel van Griekenland eind september! het atelier van Jacqueline Vugs. Vugs-Voets: “Comets” are made for goddesses! This series is inspired inter alia, the Universe and the galaxies, therefore each piece has a spiral shape as the base element. which was also an inspiration for this collection. constellation; and you can see it in the night sky of Greece in late September! It is entirely worked by hand so that there is a playful glint in the material, has each piece its own form and as each piece of jewelry is unique. Each piece is carefully and focus entirely handmade in the studio of Jacqueline Vugs. Want your jewelery Comeet prefer to pick the color/ gemstones combination? 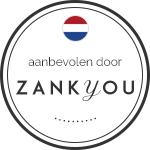 Voor deze Tentoonstelling heb ik een hele mooie sieraden collectie mogen ontwerpen en maken. For this exhibition, I may design a beautiful jewelry collection and create. These are during the exhibition for sale in the museum shop of the Hermitage Amsterdam.